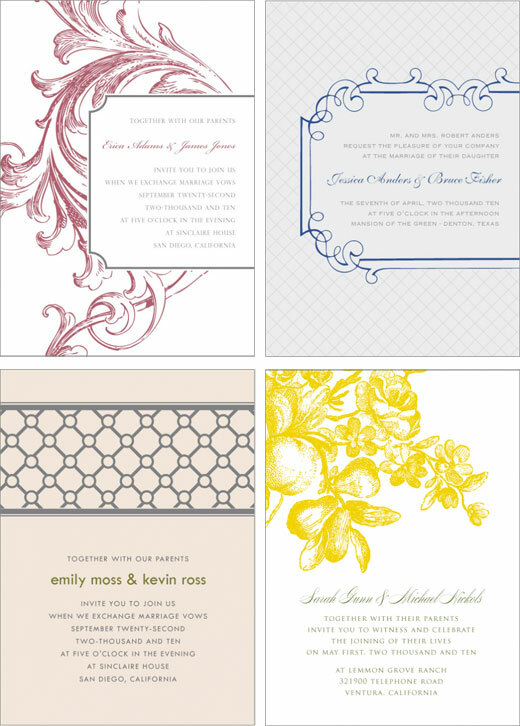 Download and Print is a great website that offers free invitation templates for personal use. Above are a few of my favorite designs, I especially love that sunshine yellow one. This would be a great resource for wedding invites, party invites, or announcements. Just choose your design, download, edit the text in Microsoft Word, then print at home or your local copy shop. The designs are quite nice, with a good mix of modern, elegant, and vintage. New templates are added often, and I'm loving the fact that they're free!